The yacht clubs of days past were snooty, exclusive affairs, where the greatest benefit of membership was the feeling of being accepted by a bunch of other rich folks. Thankfully, times have changed (mostly), and Vancouver’s home to a handful of yacht clubs that offer precisely what you’d hope for: ample cocktails, tanned nautical babes and, when there’s time, a little bit of sailing. There’s no dress code or clubhouse at Tiddly Cove Yacht Club; casual social events are held at the Maritime Museum or various False Creek pubs. What else would you expect from a club whose name was inspired by a Vancouver Sun comic strip? (Tiddly, apparently, is British slang for drunk.) 1905 Ogden Ave. From $70/year, plus initiation, from $70. West Vancouver Yacht Club has a friendly, community vibe, and it allows non-members to take classes. 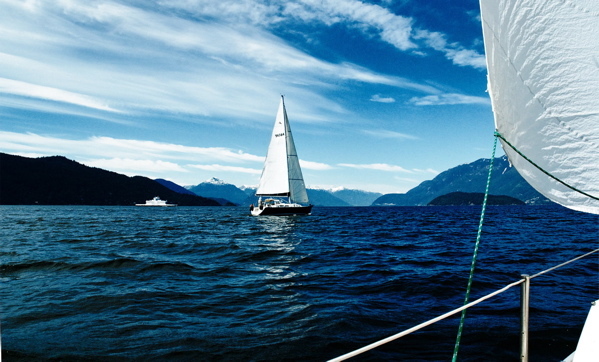 The club, on Howe Sound, has some of the best sailing equipment in town and a roster of world-class instructors. 5854 Marine Dr., 604-921-7575. From $869/year, plus initiation, from $2,445. When they’re not playing beach volleyball, those fit Kits girls are at the Kitsilano Yacht Club. Non-members can pay $18 to join racing and dinner nights on Thursdays, when the patio gets rowdy. 2401 Point Grey Rd., 604-730-1646. From $325/year. Remember our comment about yacht clubs changing with the times? Not the 106-year-old Royal Vancouver Yacht Club, the Jericho Beach home to Vancouver’s millionaires and their tanned, taut trust-fund daughters. RVYC won’t divulge their membership fees, because presumably, if you have to ask, you can’t afford it. 3811 Point Grey Rd., 604-224-1344. Image courtesy of big snit on Flickr.